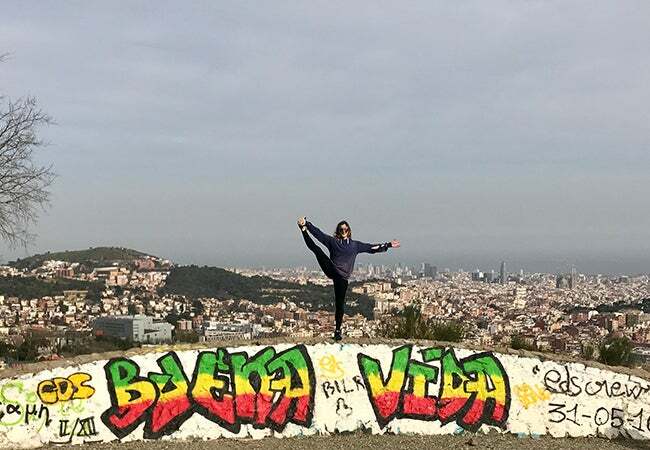 MBA student Elizabeth Cooke shares her experiences studying abroad at IESE Barcelona. My name is Elizabeth Cooke, and I studied abroad at IESE Business School in Barcelona, Spain for the Spring 2017 semester. Over an unforgettable three and a half months, I met loads of amazing people, traveled to new places and was introduced to different methods of teaching. Studying at IESE was a fantastic experience that made me grow both as a person and a professional. I’ll share just a few of my experiences with you, with the hope that some of you reading will be inspired to go abroad, too! Me, happily tourist-ing at the Prague Castle. Yoga while hiking at Carretera de les Aigües, a large hill outside the city with running trails and awesome views of Barcelona. Barcelona is an incredibly unique city with a deeply embedded, individual style. The beautiful architecture, called modernisme, that covers the city is a significant contributing factor to this. Antoni Gaudí is widely regarded as one of the most prodigious modernisme architects, and I fell in love with his whimsical, surreal style immediately after my arrival in Barcelona. 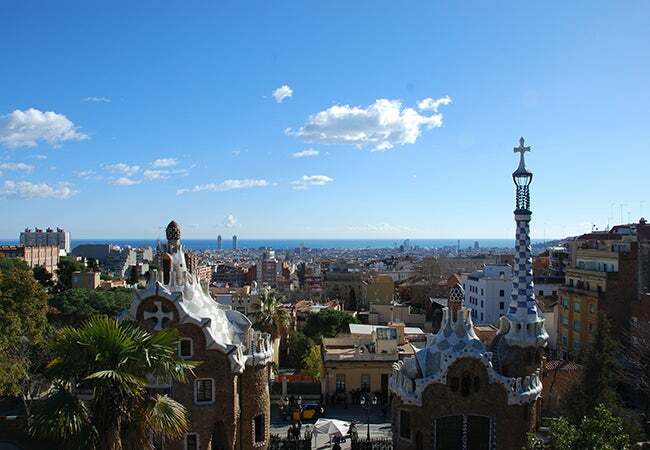 Park Guell, a celebrated park by Gaudí, offers beautiful views of the city and the ocean. The first Gaudí creation that I visited was La Sagrada Familia (which translates to “the Holy Family”), the magnificent and massive church that is one of Gaudí’s most well known creations. 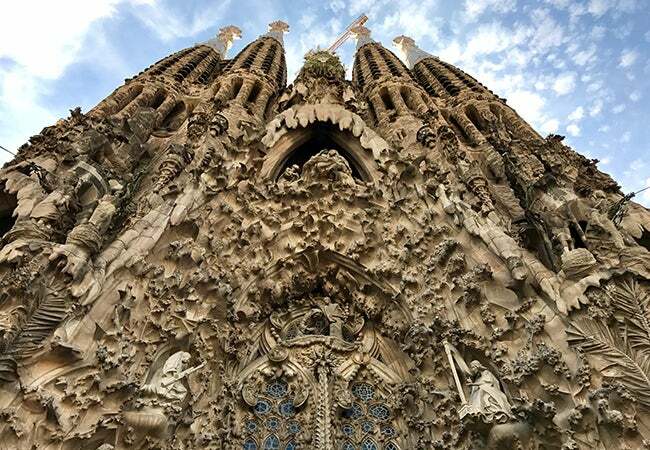 The first stone of the church was laid in 1866, but Gaudí didn’t take over the project until 1883. Looking up at La Sagrada Familia. An enormous and ornate, teal colored door greets you upon arrival, and the inside of the building is a cavernous symphony of colors. 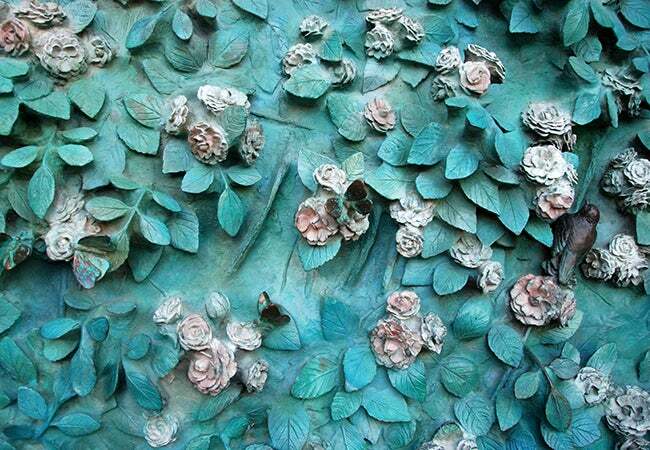 Close up of the door at La Sagrada Familia. 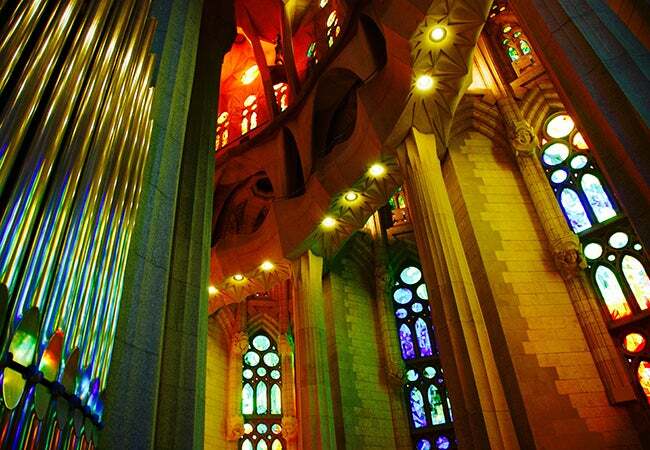 The beautiful stained glass windows and interior of La Sagrada Familia. One cool fact about the church—that I didn’t know until I visited—is that it isn’t finished yet: Gaudí planned 18 towers for the Basilica, and there are currently eight towers completed. You can go to the top of two towers, which provide fantastic views of the city. Though La Sagrada Familia is certainly one of Gaudí’s most popular and well-known buildings, it isn’t my favorite of his works. The city is literally covered with his creations (and modernisme buildings by other Catalan architects). 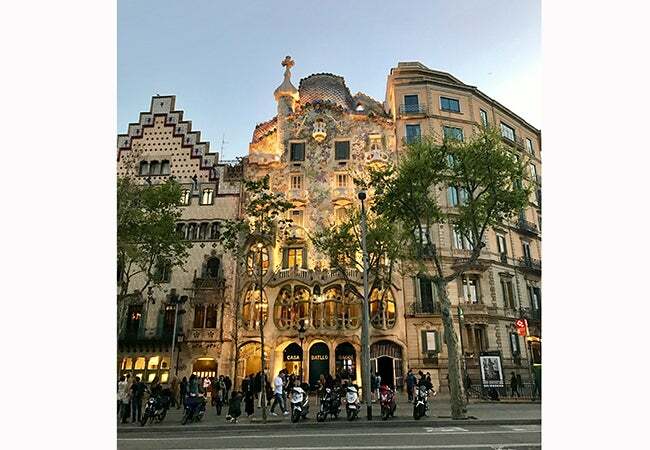 One of the best neighborhoods to take in all the magnificent architecture is Eixample, which is also home to Casa Batllo, my favorite Gaudí building. Casa Batllo, my favorite of Gaudí’s buildings, located in one of the coolest neighborhoods in the city. 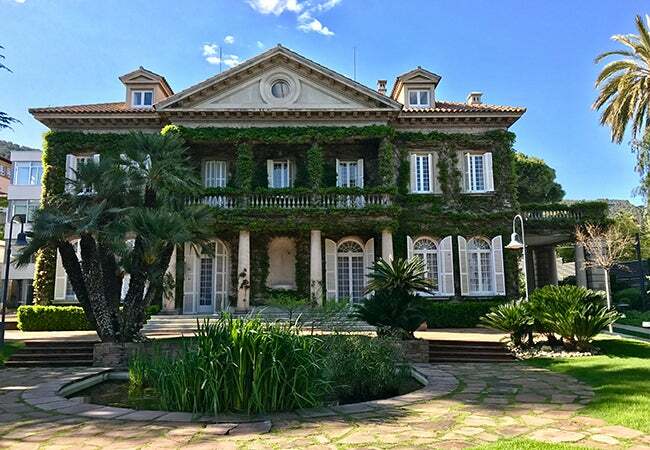 Sitting on a hilltop in the posh neighborhood of Pedralbes, the location of IESE’s bucolic campus contributes to the very strong and familial community that the university boasts. One of the main buildings on IESE’s campus in Pedralbes. The students are incredibly welcoming, and I very quickly noticed the effort that everyone makes to be sure the exchange students feel included. One of the things I loved the most about IESE is the diversity of the student body. Although about 20% of the students are Spanish, the remainder are from everywhere around the world, meaning that there is no overwhelming majority from a nationality perspective. During the program I made great friends from all over, both from the full-time cohort at IESE and from the group of exchange students that were abroad with me. And now I know that in many of the countries I travel to in the future, I’ll be likely to have an IESE friend who can show me around! 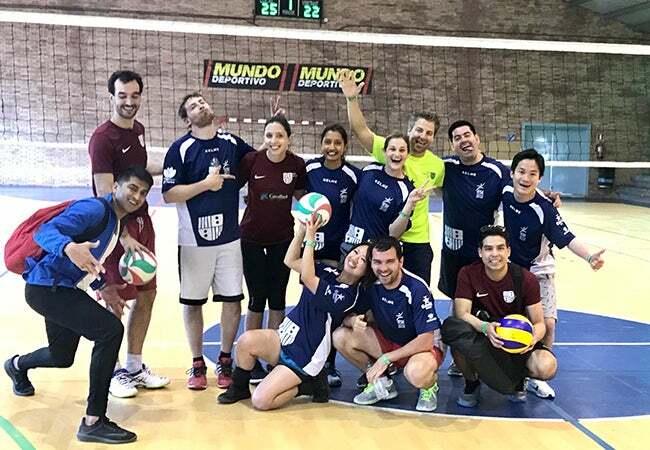 Some IESE friends and me after our Spring Games volleyball competition. As one of the best business schools in Europe, the level of academics at IESE was also incredibly high. 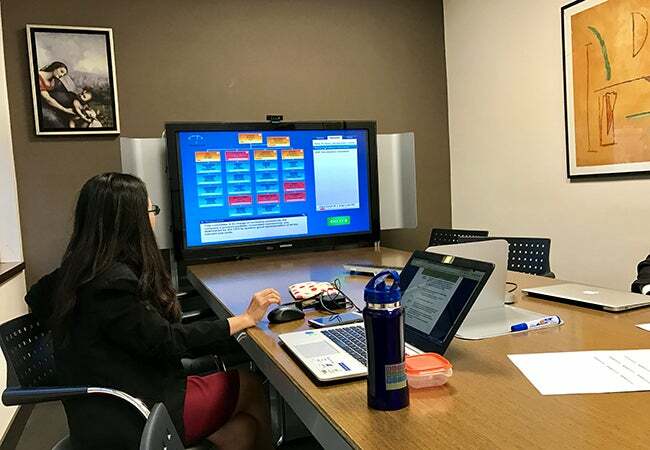 I used the time abroad to take classes that really interested me—from urban planning to cross-cultural negotiation—which provided an exciting array of subject matter. One of my favorite classes was “EXECUTE! Implementing Strategic and Organizational Change,” which focused on planning strategic change from a sustainable and actionable perspective. One of the most fascinating things about this course was its focus on politics, culture and the way basic human nature factors into organizational change. It was a course that will surely stick with me for years after I finish my MBA. One of my EXECUTE! group members during a strategic change simulation. 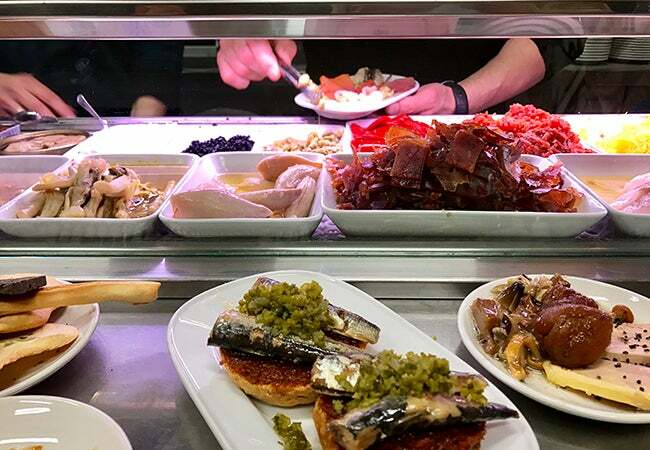 If you’re a food lover like me, you’ll understand that no article about Barcelona or Spain is complete without mentioning the delicious food. 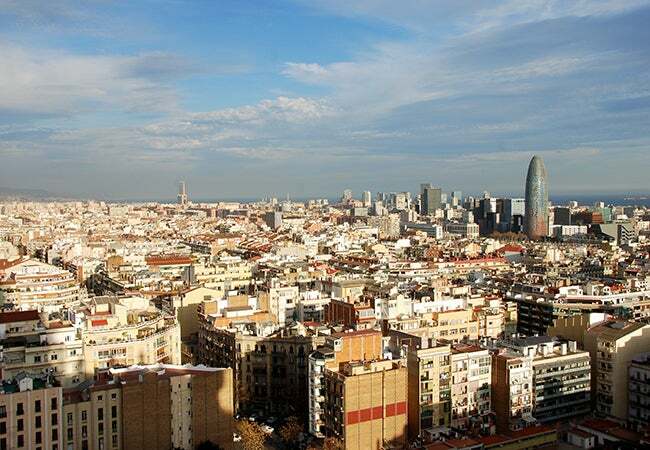 The Catalans have a deep appreciation for food and wine, and there are myriad delicious restaurants in the city (a number of which still remain on my list!). 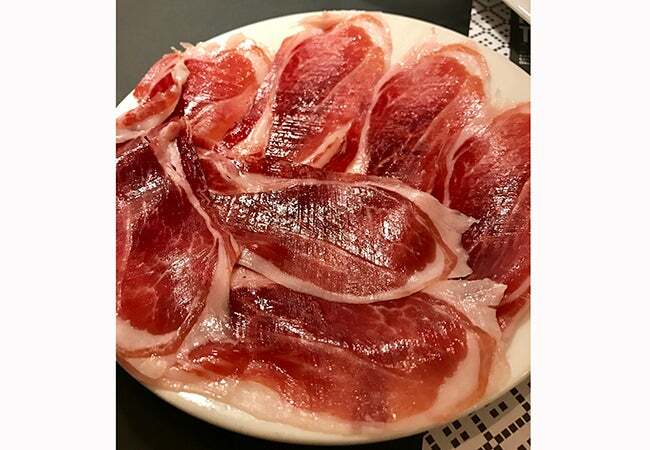 Tapas culture is fun, explorative, and social, and I approached almost every meal in Spain as yet another opportunity to eat jamón (cured ham). I also fully embraced other local traditional dishes like pan con tomate (bread topped with tomato, garlic, olive oil, and salt), montaditos (delicious things piled on top of bread or toast) and pulpo a la gallega (cooked octopus over potatoes with red spice). I had some of the most amazing meals of my life during my time in Spain, and I can’t wait until I have the opportunity to visit again.